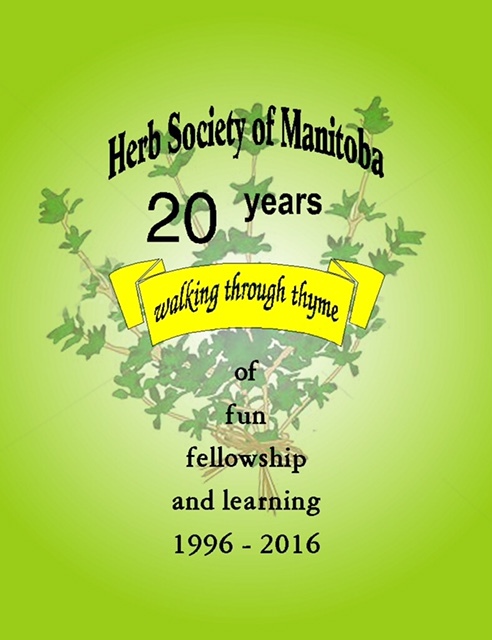 The Herb Society of Manitoba was formed in 1995 by a group of enthusiastic volunteers interested in educating the public about herbs and promoting the use of herbs in everyday life. In 1996, a Constitution was written, a Mission Statement formulated, and the Society officially began its work. Our meetings are generally held the 3rd Monday of each month and start at 7:00 p.m. at the Canadian Mennonite University South Campus in Winnipeg, Manitoba. For more information on upcoming speakers, please visit the Programming page. General Meetings are open to the public, however, there is a $5.00 charge for guests to attend. Individual memberships are $25.00/year (Canadian funds). The Herb Society of Manitoba is dedicated to promoting knowledge, use and enjoyment of herbs through education, programs, research and sharing the experience of its members with the community. To assist in our ongoing effort to be environmentally friendly, please try to remember to bring your own mug for your herbal tea. Get involved in Your Society! Vendor registration forms can be downloaded here. In honour of our 20th Anniversary, one of the things we did was reprint our cookbook. Lots of great recipes in there. Thanks to Debra for making it happen! Cookbooks can be purchased for $20.00 at HSM monthly meetings. For more information or to purchase, contact: Debra at herbs@herbsocietymb.com. To celebrate Canada’s 150th birthday the Canadian Garden Council, in collaboration with the Canadian Nursery Landscape Association, have awarded 150 “Canada 150 Garden Experience” designations to highlight the role of gardening and gardens in communities across Canada. HerbFest at the Assiniboine Park has been chosen as one of five gardening experiences for the province of Manitoba.